The municipality of Ithomi (according to Kallikrates plan 2011 belongs to Mouzaki municipality) is located at the northwest side of the prefecture of Karditsa and borders with the municipalities of Mitropolis and Plastiras. It's seat is the historic Fanari, with the majestic castle. It was created from the union of the boroughs of Fanari, Kanalia, Loxada, Kappa, Harma, Pirgos Ithomis, Aghios Akakios and Ellinopirgos. The municipality's population, according to the 2001 censuc, comes up to 3.125 people. The Translation and Procession of the Holy Skull of St. Seraphim is celebrated with special dignity in the holy church of the same name at Fanari. It is an important religious ceremony for the municipality of Ithomi as well as for the prefecture, as Saint Seraphim is the patron saint of Karditsa. The recent interventions in the road network connecting the villages of the municipality of Ithomi with Plastiras Lake (kanalia - Plastiras Lake and Ellinopirgos - Plastiras Lake) create new alternative itineraries of cultural and natural interest for the visitors of the prefecture of Karditsa going to Plastiras Lake. The Castle at Fanari, the acropolisarea of ancient Ithomi, the beautiful stone houses at Kanalia and the other villagesconstitute the most important monuments of cultural heritage in the municipality of Ithomi. The long history of the region is also depictedin the municipality's emblem. It shows Podaleirios, father of Hippocrates, the "father" of medicine, and one of the leaders of the Trikki, Ithomi and Oihalia League that participated in the Troy war with thirty boats. 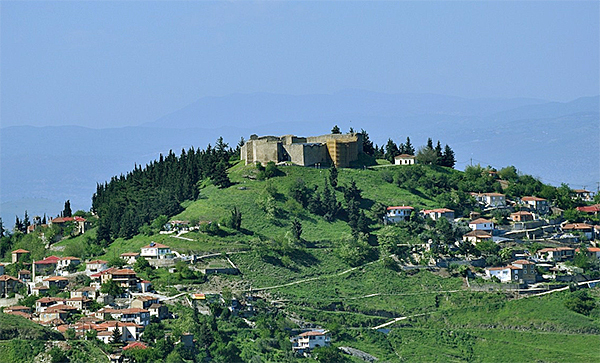 Fanari built on the slope of the forested hill with the Byzantine Castle and approximately 15 km from Karditsa, was the seat of the Municipality of Ithomi. 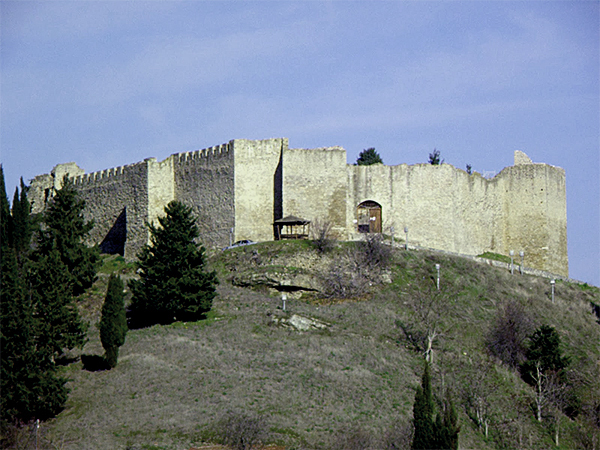 The Fanari Castle is a Byzantine monument of the 13th century, unique in its kind of all the area of western Thessaly. It was an importnt fortress of the Byzantine emperorsm the Serbs that conquered Thessaly in the 14th century and the Turks later on. It was used by the conquerors in order to be able to control the Thessaly and be protected from the attacks of armed groups. The Castle in now being restored and reconstructed and as the works are still under way, it is not open to visitors. Nevertheless it is worth visiting the hill to admire the magnificence of the Castle from outside. The financial activity at Fanari was intentified with the development of pottery. Some decades ago there were as many as 80 workshops in the village supplying the region with pitchers, marmites, jars and other useful vessels for that period. One can admire the traditional architecture depicted in the stone houses and mansions and the stone fountains. Quiet impressive is also the stone bell tower (erected in 1886) of the church of Saint John (Aghios Yiannis) with its carven-wooden altar screen. The cultural life at Fanari is rich with a great variety. Events are held on Clean Monday, the third day of Easter and the second day of Christmas (the tasty Gournohara selebration). There is also a folklore museum at the village square. 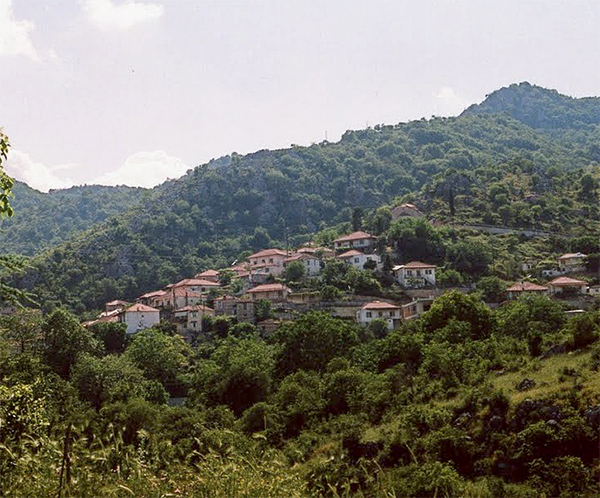 On the way to Fanari, one comes across Kanalia, a beautiful traditional village, 14 km from Karditsa with a panoramic view over the Thessaly plain and rich tradition in all fields. Along the panoramic route to the village, our eyes turn to the vast Thessaly plain and then go back again to the magnificent Fanari Castle on the hill. When the first houses of the village come to sight, the feeling is unique. Many of them are made of stone, either two or three storied, built on a sloping ground, almost clinging to each other with a local stone colour. The tour around the village is quite interesting. Walking on the narrow streets, the visitor will get to know the traditional Epirus architecture of the houses that bring to mind periods of development and financial affluence of the village. In the small square, next to the traditional cafes, there is a folklore museum with many exhibits. An event of great interest is the traditional pie fete held every year by the cultural society on the day of the Holy Spirit. Coming down from the village of Kanalia, we come upon Loxada and the equestrian club with the well trained horse for riding. Our tour in the minicipality takes us through the lowland villages of Harma and Kappas and ends in the Pirgos of Ithomi with its long history. The site corresponds with the location occupied in the antiqyity by the Pelasgian city of Ithomi (15th - 14th centuries BC) which is also mentioned in the 2nd Rhapsody of the Iliad. The fortress of Ithomi, otherwise known as the Pirgos (the village was named after it) is 700-800 (visual distance) southeast of the village, at an altitude of 364 meters. It is built of massive stone blocks in the level laid style and it is very difficult to visit without a suitable car. Following an upward itinerary and at a distance of 7 km from Pyrgos of Ithomi, we come upon Saint Akakios. One km northwest of the village, there is the "aetofolia" cave (Eagle's nest), which, according to the speleologists that have visited it, is of great interest. Going past ot Kappas, the left bypass of the road axis Karditsa - Mouzaki leads as to Ellinopirgos. 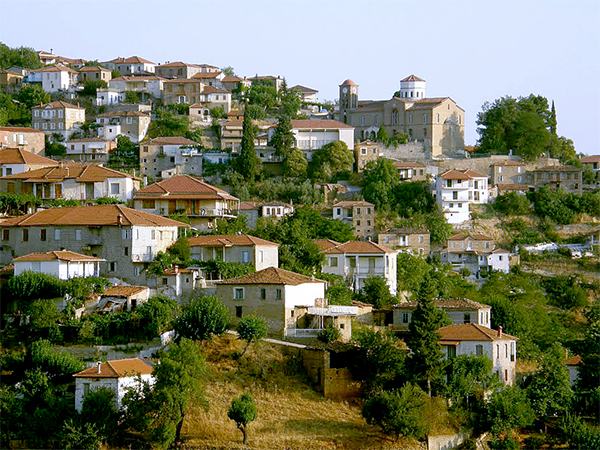 The village is 24 km from Karditsa and has a panoramic view. The stone-built two-storied and three-storied houses, the watermill of "Hantzis", the house that was the command center of George Karaiskakis and other constitute important cultural monuments of its modern history. Also of great interest are the churches of Saint George (1818) and Saint Paraskevi (1858) with the wood-carved altar screen. Its cultural activity is quite impressive. At the village center there is the Cultural Center while another beautiful stone built building hosts the Library and the Folklore Museum. Quite recently the traditional guest house created upon the renovation of the Syrmos or Zigras mansion (1894) was added to the traditional cafes and the meat taverns of the village. The guest house has nine rooms, equipped with all the modern facilities. Upon the conclusion of asphalting the road from Aghios Ahtanasios to Plastiras Lake, access from Ellinopirgos to Plastiras Lake is easy and the itinerary beautiful and pleasant.